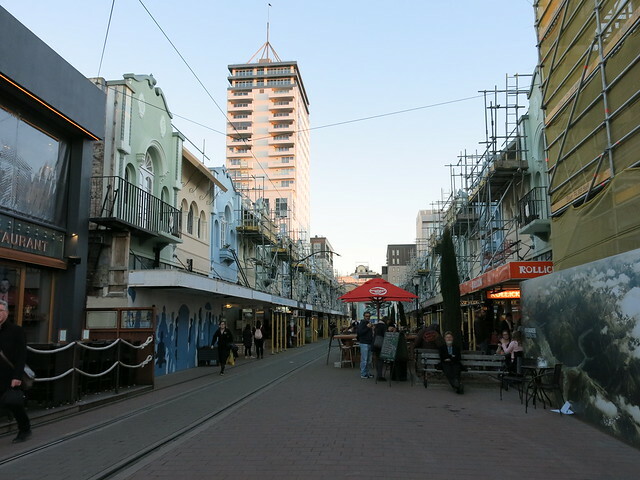 The New Regent Street Pop-up Festival is like the whole of WORD Christchurch distilled into an hour and twenty minutes, and if that sounds intense well, yes, that would be an accurate assessment. In some ways it's like trying to pick something off a menu - how do you know what you'll like the best? What if you choose and don't enjoy your choice? 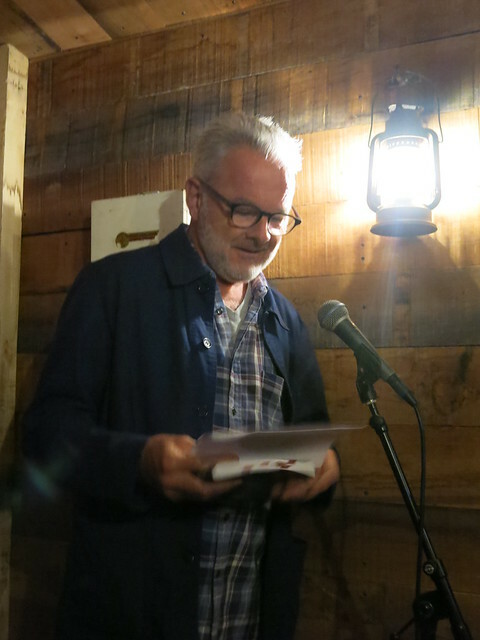 And just to extend the dining out metaphor, the pop-up festival offers three "sets" of readings in much the same manner as restaurant courses, allowing you to mix and match. So how did I do choosing a great meal? Meaty, blood-soaked and best served cold, this was a very enjoyable way to start. True, it's rather a full-bodied choice for an entree, but if you're going to have tales of death and fear read to you in the confines of a strange, wooden Antarctic hut fashioned from a shipping container you may as well do it early so it's still daylight when you leave. 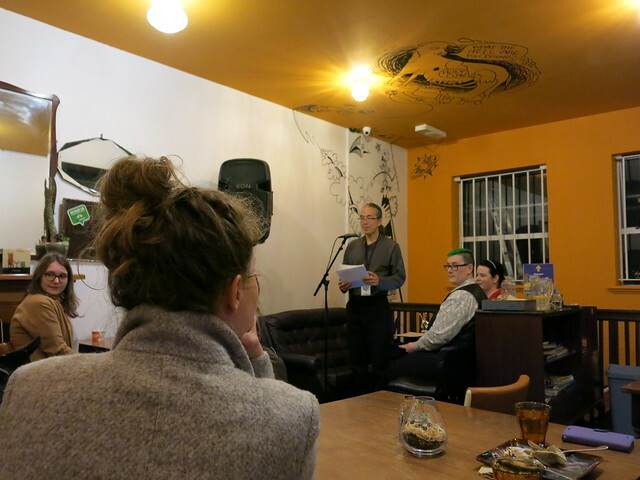 WORD Christchurch Festival director, Rachael King read a suitably gothic, Wuthering Heights inspired passage from her book Magpie Hall, and Brindi Joy's flash fiction story of the dead that don't necessarily stay buried had a pleasing rhythm and exotic (for Christchurch) US locale. After that kind of darkness what you need is something different, distracting and refreshing. Science Fiction Triple Feature offered a trio of writers of different flavours reading stories and excerpts. A. J. Fitzwater, a local writer of Spec-Fic (Speculative Fiction) opened with a really interesting take on post-apocalyptic tales, telling the story of a trans vlogger and traveller making their way across Europe in the wake of some catastrophic outbreak. They are on the hunt for... tampons. Which is an amusing twist on the usual dystopian scavenging one usually expects from tales like this, and one that I have always wondered about myself. Sure, the characters in The Walking Dead always look sufficiently unwashed and grimey... but they still seem to be able to find their colour of hair dye and everyone's top lip is still getting waxed so how post-apocalyptic is it really? Yes, I do have tampons in my emergency kit, and yes, so should you. Another local sci-fi/fantasy writer, Karen Healey then took the mic (in a Thor-themed dress that I am most covetous of) and read from her version of Beauty and the Beast in which Beauty's quest involves dark, spooky creatures who have possessed her beloved father, a malady that only a strapping magical beast might be able to cure. And American author Ted Chiang read a strange and perplexing story of science used to support fiction - a comment on the nature of faith and truth, perhaps. A small sorbet of something completely different was on offer at Fiksate Gallery (a place that I would very much like to go back to) in the form of touching, poignant poetry. Personal tales of a loved one's dementia, or legendary tales of some guy called "Maui". Short and bittersweet. The perfect ending course to this pop-up adventure.